Arlington County is a county in the Commonwealth of Virginia, often referred to simply as Arlington or Arlington, Virginia. It is the sixth-largest county in Virginia, or the fourth-largest city if it were incorporated as such. It is the 5th highest-income county in the U.S. by median family income and has the highest concentration of singles in the region. The county is situated in Northern Virginia on the southwestern bank of the Potomac River directly across from the District of Columbia, of which it was once a part. With a land area of 26 square miles, Arlington is the geographically smallest self-governing county in the U.S., and by reason of state law regarding population density, has no incorporated towns within its borders. 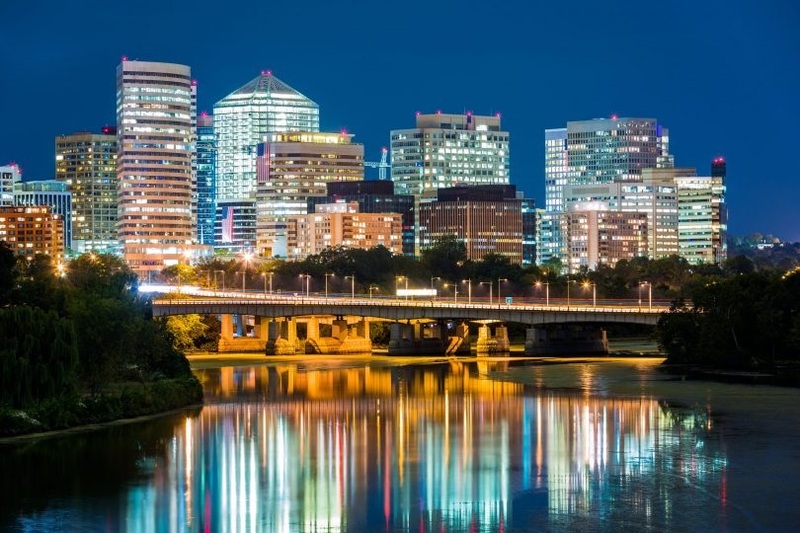 Due to the county's proximity to downtown Washington, D.C., Arlington is home to many important installations for the capital region and U.S. government, including the Pentagon, Reagan National Airport, and Arlington National Cemetery. Many schools and universities have campuses in Arlington, most prominently the Antonin Scalia Law School of George Mason University.